The Springport Route is a 16.5 mile round trip self-guided bike tour beginning in Harrisville. Begin your tour by exploring the quaint streets of Harrisville. The tour takes you by historic buildings including the Presbyterian Church, built in 1879, and the historic Harrisville Depot which had its first passenger run in 1901. 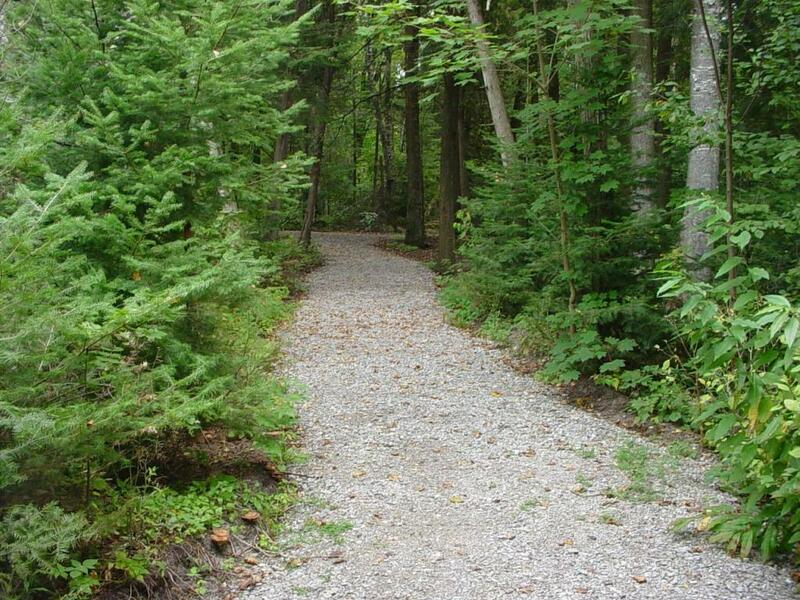 From town, enjoy traveling on a meandering wooded bike path through Harrisville State Park. From the park, travel south on Heritage 23 to historic sites such as the Springport Inn, built in 1877, and the Springport Cemetery, the oldest in Alcona County, where sixteen Civil War veterns rest. 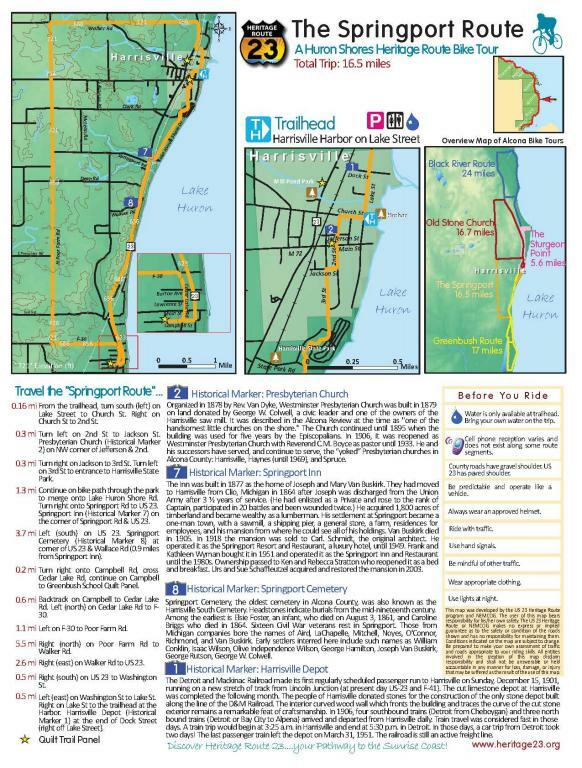 Download map of The Springport Route to begin your tour.